The healthiest part of my day is my breakfast. My husband and I make sure we share a plate of assorted cut fruit to have a healthy start to our day. So, I thought why not make a whole week’s post on fruit. I figured there must be lots of fruit-inspired creations out there. This week I share with you my discoveries in a special feature called “FRUITful Designs”. 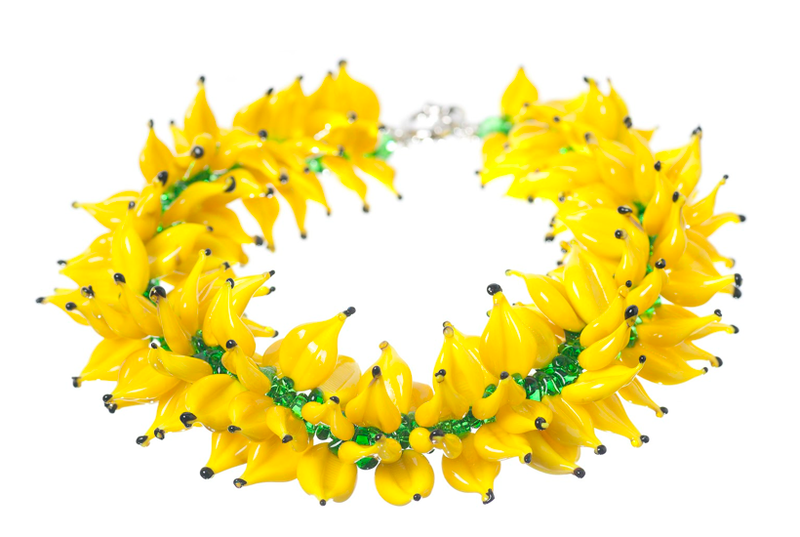 Today I bring you GOIN’ BANANAS..we look into some never-been- seen-before banana fashions. 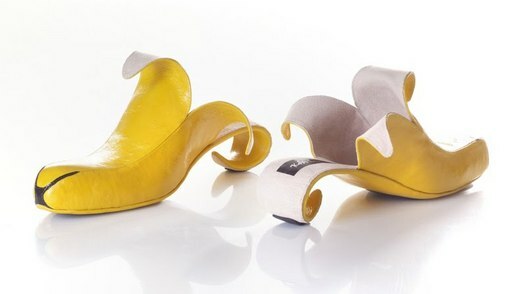 Kobi Levi a young Israeli designer creates humorous depictions of real-life objects or people, in the form of a shoe. 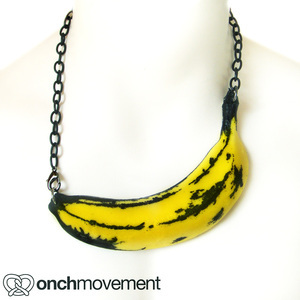 His creations, based on banana skins, slingshots, chewing gum, and even rocking chairs, are what he dubs as wearable sculpture. The freelance designer believes that unlike clothes that exist only when being worn, shoes should be ‘alive’ whether they are on or off the feet. 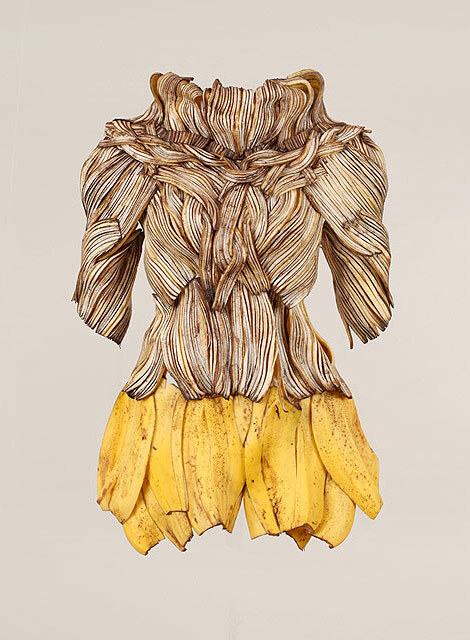 Korean artist Sung Yeon Ju made some awesome dresses out of real fruits and vegetables as part of her series Wearable Foods. It is her first long term project, she started two years ago and it still continues to this day. This series deals with the concept of creating images that interchange the actual reality and the made-up reality on many levels. 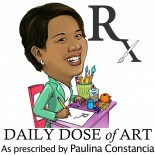 This entry was posted on October 17, 2012 by Paulina Constancia in Uncategorized.